New residents at La Rosilla or should I say visitors ? ;) | La Rosilla - Lifestyle and food. Bumping in to my elderly ‘campesino neighbour Antonio in the local town of Colmenar, he began to chat with me in his deepest Andaluz tongue, something with him now after 7 years I can just about understand. I managed to decipher ‘Your mountain & land’ and the world “Mules’. 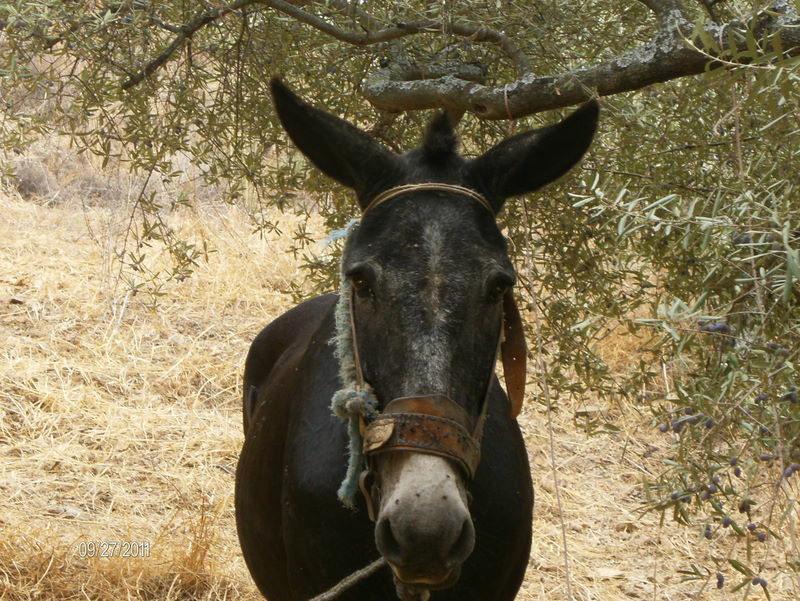 Yes, yes I agreed, Mules would be good, to eat the shrubbery, nodding vigorously and agreeing that the land would look like the pavement he was pointing to, smooth & flat after they had done their work. 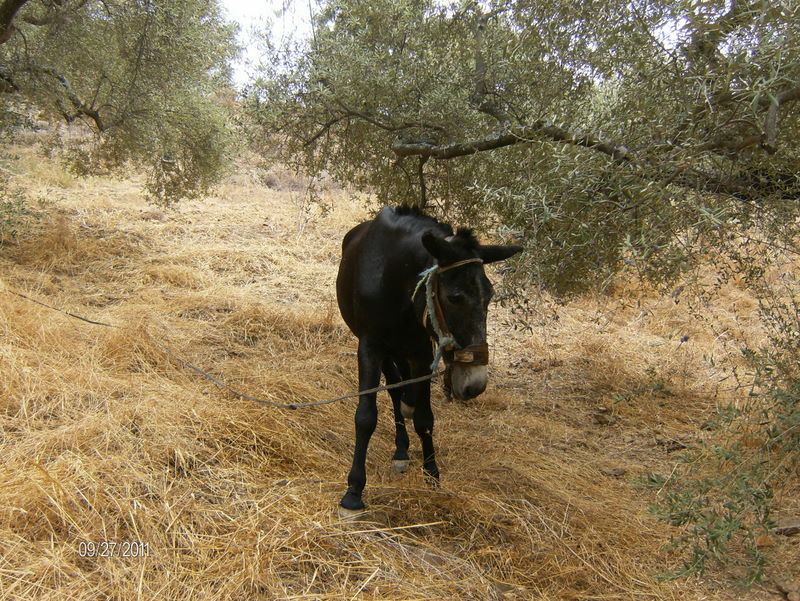 What I didn’t know I had agreed too, was that evening having two giant Mules delivered and tethered to my olive trees to go about their business. Funny thing was they were bought in the pitch black, so my dogs were in a frenzy, we too were also wondering who on earth was brave enough or stupid enough, to go mountaineering in the pitch black without a torch. A few minutes later, after a yodel to Miguel (said owner of the mules) I confirmed, yes OK I will temporarily be a mule sitter . Pingback: Harvest Time | La Rosilla – Lifestyle and food.